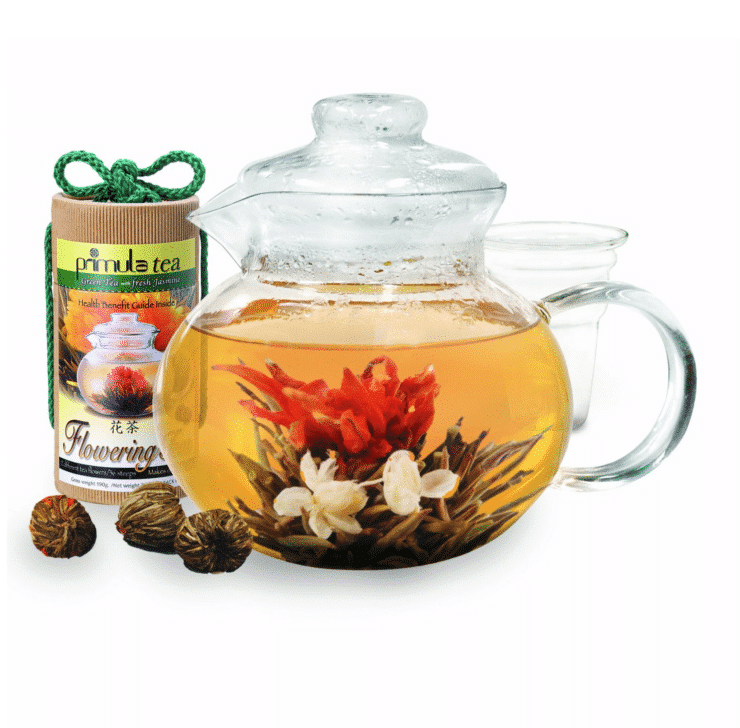 Tori’s Friday Favorites – Cérémonie Tea Giveaway. Comment to Win! It’s been a wild month. I don’t know if Mercury is in retrograde or if it’s just me, but life has been a little crazy lately. I’ve had to actively seek out peaceful moments to pause, breathe, and reflect on all the blessings around me. You know what helps with that? A cup of tea. Or two. Or three. 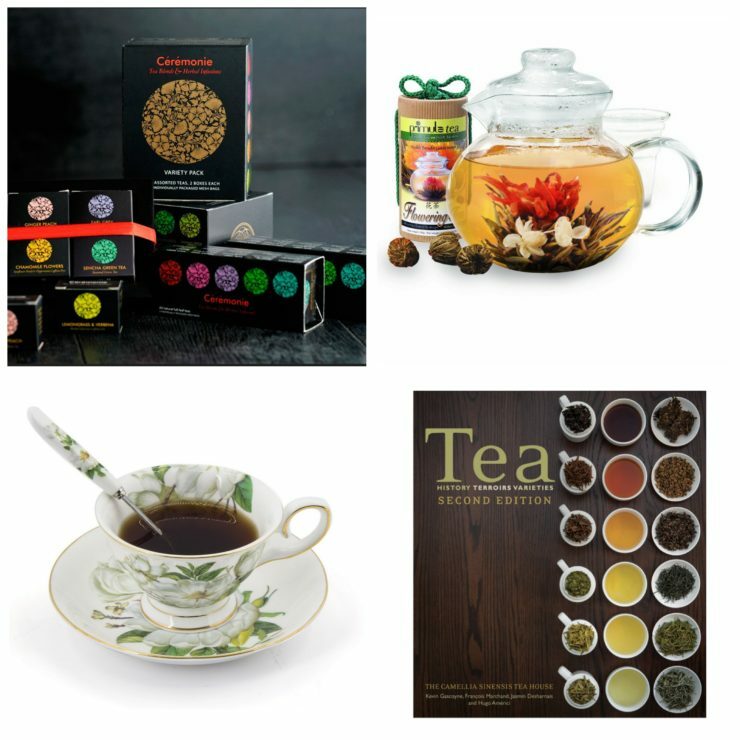 So in today’s Friday Favorites, I’m sharing a fun gift set of tea-related items for your sipping pleasure! I was inspired to put together this gift set thanks to Efrat Schorr, the niece of my dear friend Gil Marks who authored the American Cakes column on my website. Gil was so proud of Efrat and her line of teas, Cérémonie, which are made in Israel with the highest quality tea leaves. He always spoke so highly of Efrat and of Cérémonie. Now that I’ve tried her teas, I can see why. They are wonderful! Efrat kindly assembled a Cérémonie Tea prize package to share with readers on my website. For an additional entry in this giveaway (for those who are reading carefully) follow @CeremonieTea on Twitter and tweet them a message! I’ll count it as an additional entry to the giveaway. 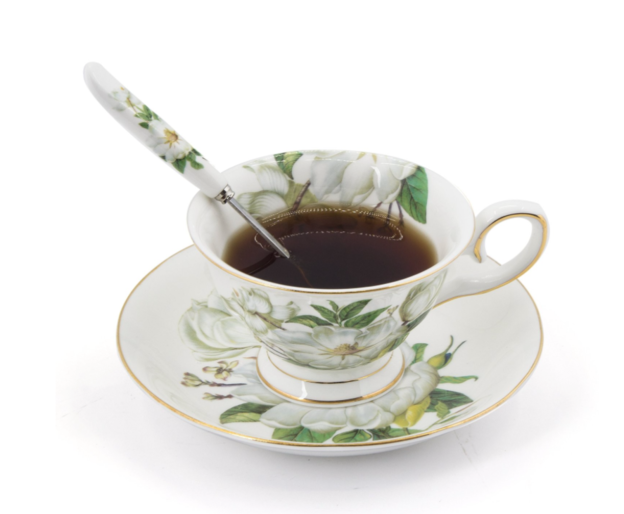 I wanted to sweeten the deal, so I added a few more tea-related items to the giveaway. I love the history and rituals behind drinking tea and have an ever-growing collection of tea cups and saucers that I find at vintage markets. And while these cups and saucers aren’t vintage, they’re certainly cute. Don’t you love the spoons? And, of course, you need tea to fill your teacups. Here is a Primula Glass Teapot with Infuser and Flowering Teas. Each little bundle of dried tea leaves is individually bound together. Once they hit hot water, the bundles slowly unfurl into a blooming flower. Gorgeous! 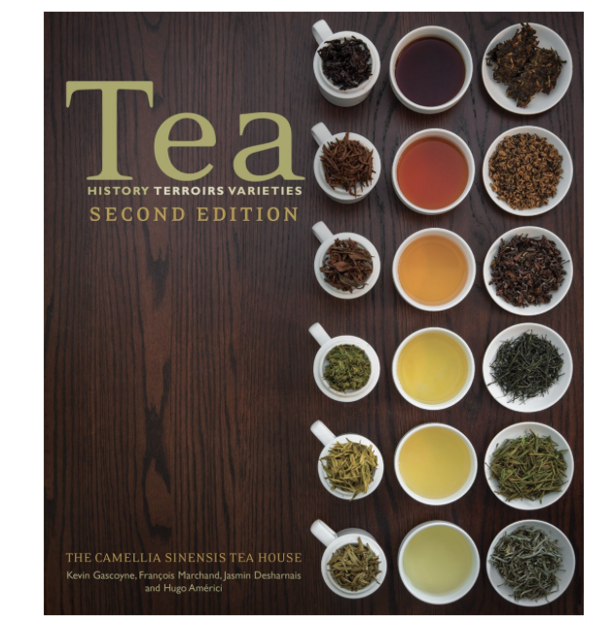 And finally, to satiate a hunger for all things history, I highly recommend reading about the origins of tea – over a nice hot cup of tea! Tea lovers, you’re in luck! I will be giving away these 4 items to one lucky reader. To win, simply comment on this post. One winner will be chosen at random and announced on Friday, April 17. Share on Facebook, Twitter, Pinterest and Google+ for more chances to win. Just let me know where you shared in the comments so I can count the additional entries. 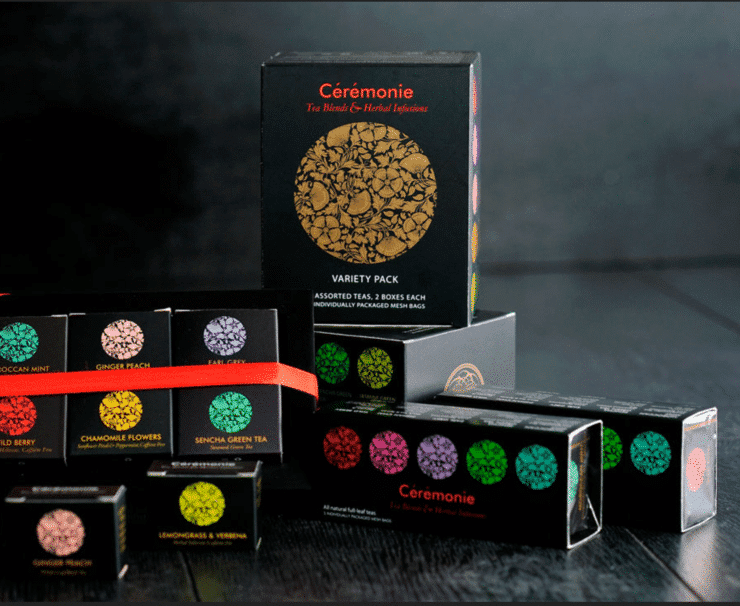 Follow and Tweet @CeremonieTea for another chance, and be sure to tweet them a message! This contest is open to anybody and everybody no matter where you live. Good luck! CONTEST CLOSED. Congratulations to Heidi Thibodeau, who was chosen via a numeric randomizer. New giveaway coming soon, stay tuned! Discovered this morning that I won!!! (Was away for the weekend and didn’t think to check my email.) Thanks so much!!!!! I would have loved this set. Im going to have to hunt for Cérémonie Tea now. I’ve never heard of it before, but I always love trying new teas! Tea is my sanity. Nothing is more calming and pleasing than a nice hot cup of tea. It can cure anything!